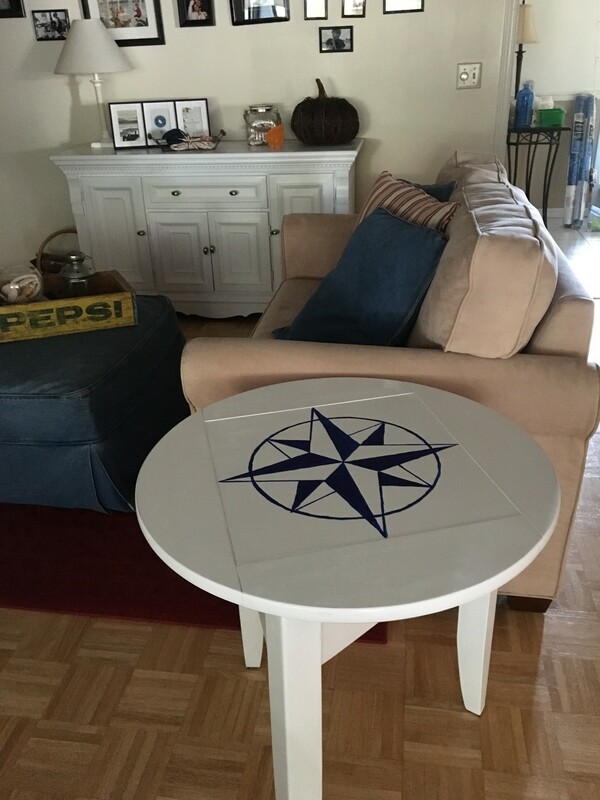 Last week I shared a little round table that I painted. In the background of one of the pictures you could see a white console table, and I promised that I would tell you about it. This year, Thomas decided to move into the fraternity house so we had to clear out the apartment. I gave a bunch of stuff away but kept a few things. One of the things I kept was this table. 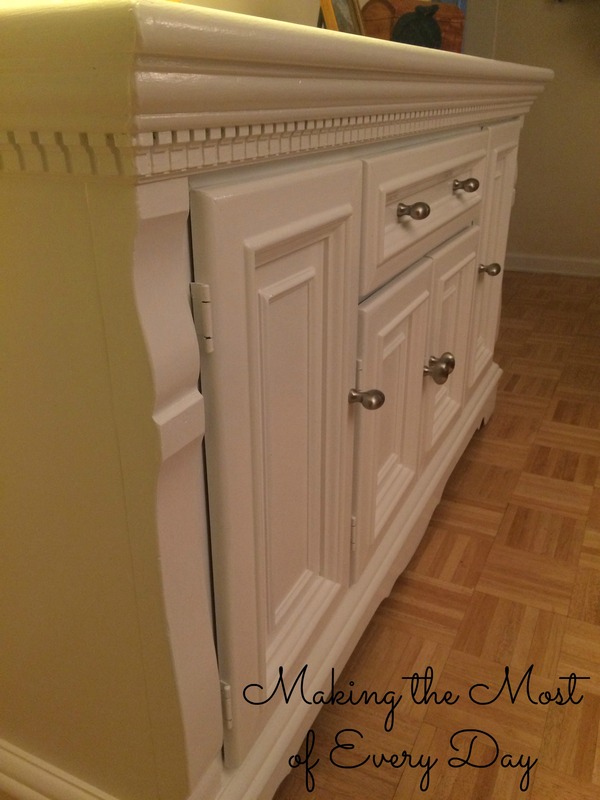 Although I didn’t love the dark wood and the heavy wood grain, and it certainly didn’t match any of the other wood I had in the house, I did really like the height of the table and the dentil moulding as well as the moulding on the doors. The thing weighed a TON too so I knew it had to be a “good” piece of furniture made out of “real” wood. I decided it would look really nice painted white and would fit in with our decorating style. I began by wiping everything down and removing the doors, shelf and drawer. 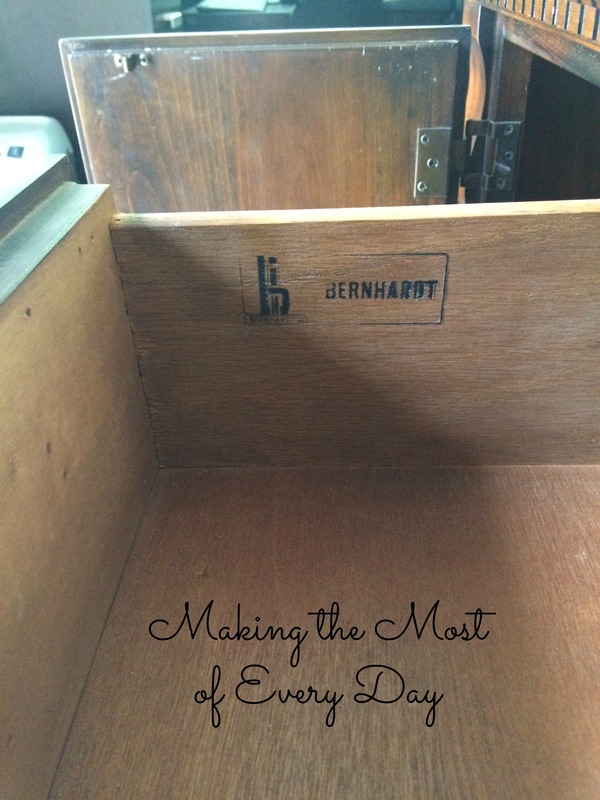 Imagine my surprise when I discovered that this was a Bernhardt piece! My sister-in-law had educated me on this brand name, so now I was REALLY excited to keep it and bring new life to it! 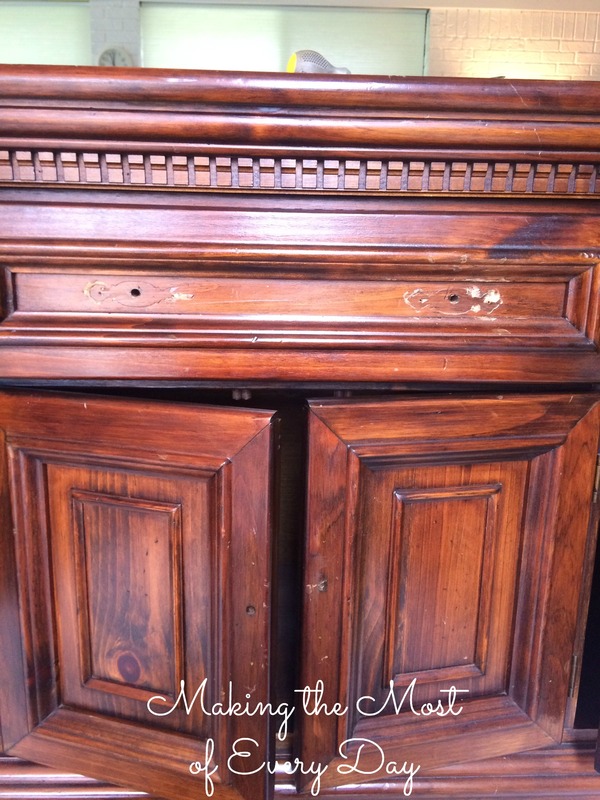 I then removed the antique brass handles, trim, and hinges. And voila’! Here’s the finished result! We tried to find new hinges in a silver finish but nothing at Lowe’s would match the size and shape, and since I didn’t want to mess with redrilling holes we just painted them white. They practically disappear which is exactly what I wanted them to do. The knobs we already had. We are slowly switching over the brass in the house to silver. This piece now holds my sewing machine behind the center doors. The right door houses our camera and its bags. The left door hides the tripod and gift bags, and the drawer holds selfie sticks and the GoPro. I love having extra storage! 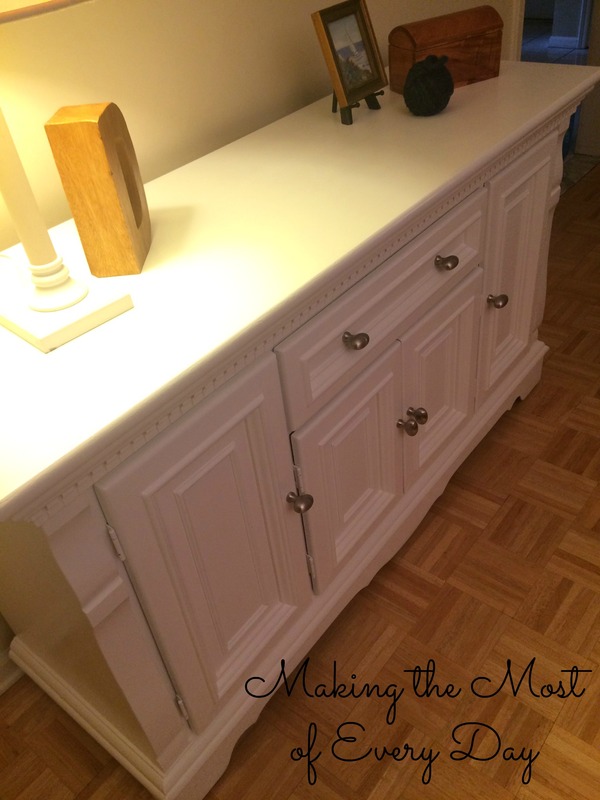 This cabinet fits in the overall scheme of the room and the house. 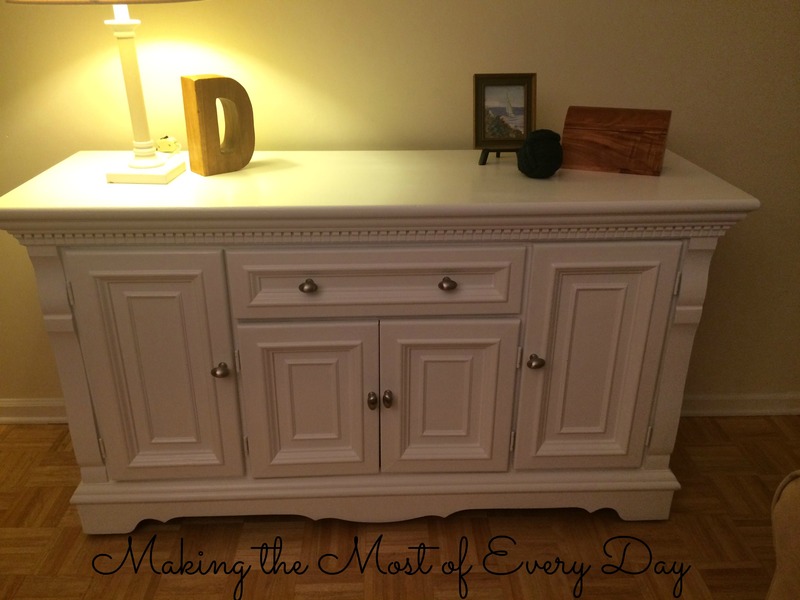 There’s something very pleasing about reusing and repurposing good furniture. I’m a bit of a tree hugger in that way. I hate to throw away something that is still useful but I want it to be beautiful in my eyes and this guy is! 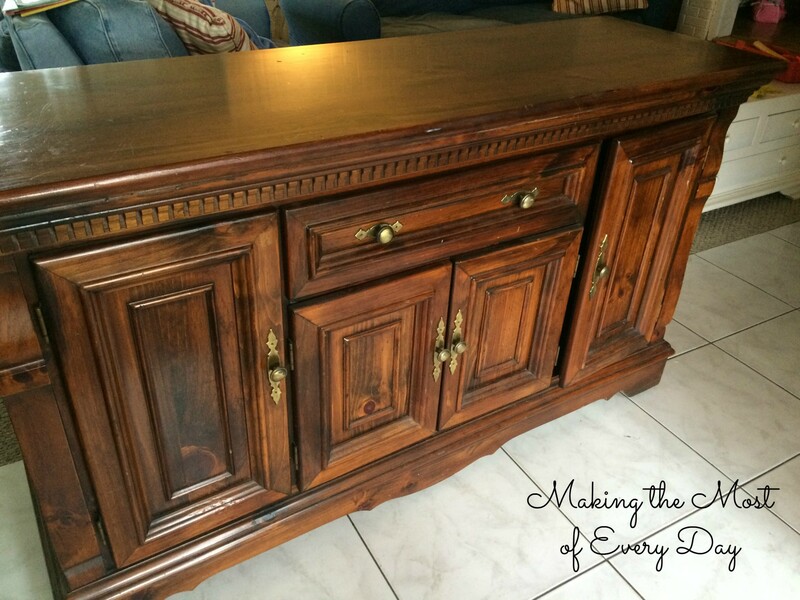 Have you repurposed something old into something new? 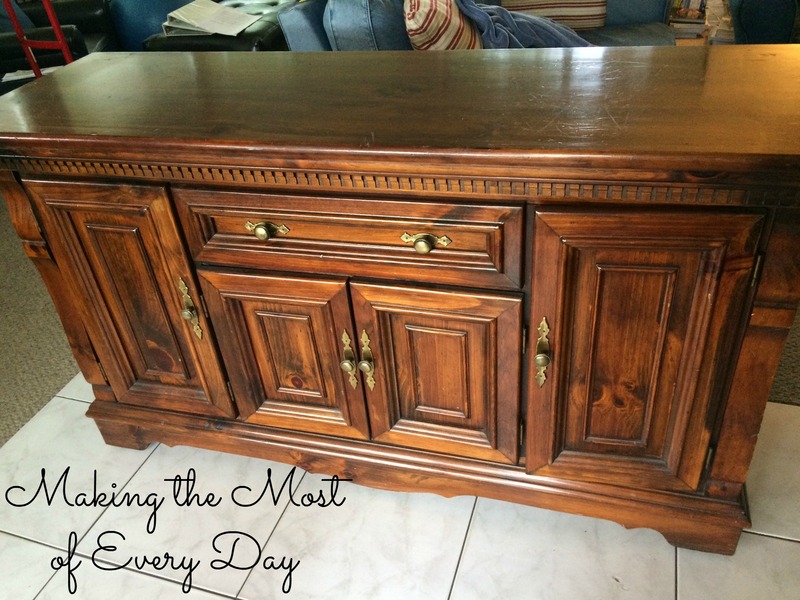 Linking up to Skip to My Lou and A Lovely Little Wardrobe. Thanks Sarah! It makes me happy! Holy smokes, fantastic work! I have a similar piece that I’ve been wanting to do but have been chickening out. 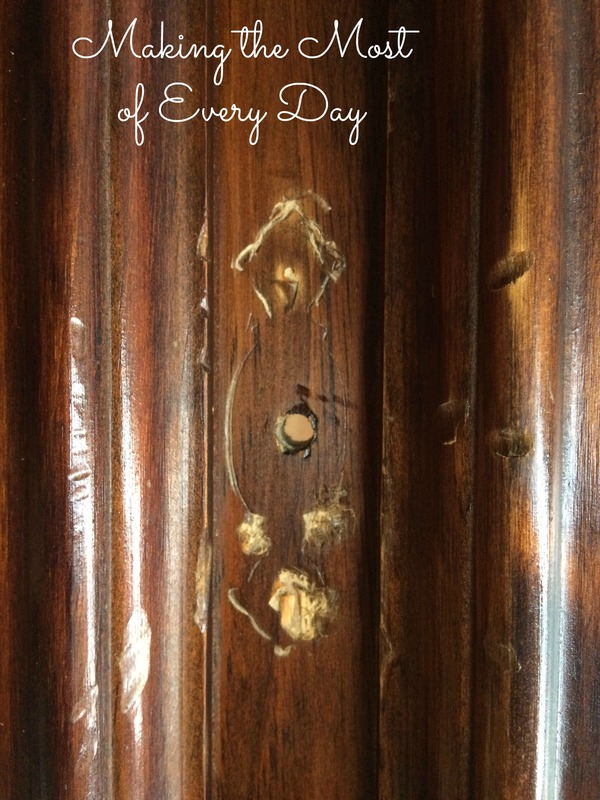 .. this makes me want to refinish it this instant! I can’t wait to see how yours turns out! Great transformation! That turned out well.